Taberna Verdejo is one of my favourite places in Madrid and it should be one of yours too. First, the cooking is just outstanding. By some miracle I found on my phone some pictures of the brilliant mollejitas, one of their escabeches and a salpicon (above), but there I am only scratching the surface. The menu changes constantly with the seasons, the product used is first class and the results excellent. The mollejitas and the escabeches are absolutely delicious and other favourites include piparras fritas, navajas, the callos (“guiso de morro, pata y callo”), and the steak tartare. 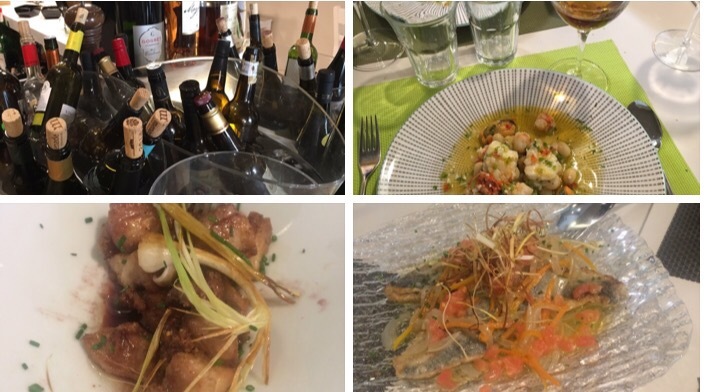 They elevate very traditional dishes – the huevos rotos, the carabinero and sweetbread “salad” and one amazing coquelet spring to mind – and they have a fantastic touch with game of all kinds. It was the first and is still the only place I have had roast thrushes, they have duck of every feather and the last time I was there I had a tartare and an escabeche of “corzo” (roe deer) that would make even the most convinced fan see the movie “Bambi” differently. Simple stuff (or at least it seems simple, but I dare you to ask them what is involved in each dish) but there is such great imagination in the accompaniments and composition, and such attention to detail, that the results are sublime. I haven’t even mentioned the desserts – and particularly not the oloroso pana cotta, which is just ridiculously good. Second, the quality of the liquid on offer is also brilliant. They don’t only have sherries – they have a short but brilliantly chosen wine list with some brilliant wines – but we are where we are and it is, frankly, a sherry lover’s paradise. 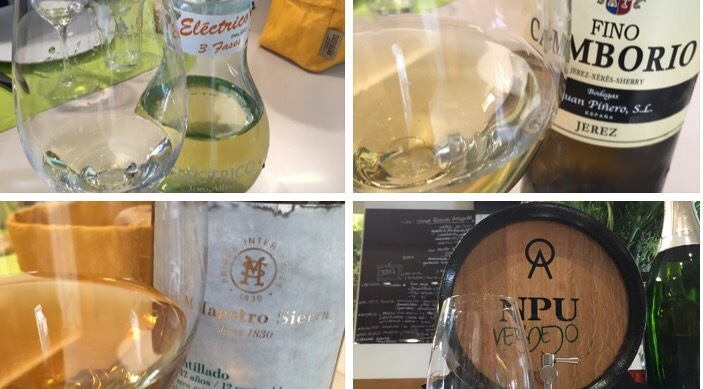 I actually started going to Verdejo before this blog was born but just looking back at my blog the wines I have tried there include the Fino Perdido, Antique Palo Cortado, Arroyuelo En Rama, Fossi, Goya and Goya XL, Williams Oloroso de 2009, UBE 2013, Tio Pepe en Rama, and Tosca Cerrada, among many more. The last time I was there was had a brilliant lunch accompanied by Electrico en Rama, Fino Camborio, el Maestro Sierra 12 yr Amontillado and a cracking Sanchez Romate amontillado from their very own bota (see the picture below). Absolutely brilliant – the guys I went with weren’t sherry fans when they arrived but I am pretty sure they are now. The pairing choices were superb (as are the wines, of course). 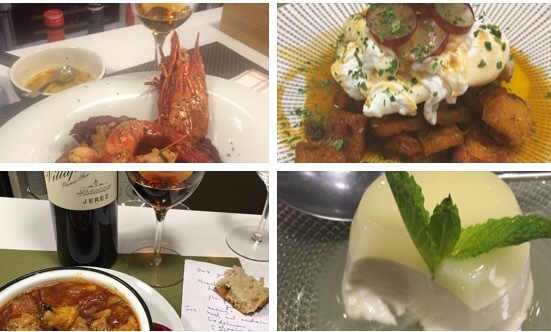 But if you were to ask any of the many devotees of Verdejo what is the best thing about the place, I am pretty sure that noone would bore you with lists of dishes and wines. The best things about the place, by a distance, are the people there. I only really know Marian and Mamen well but it is clear that the team as a whole is good people. Most importantly, though, Marian and Mamen are just lovely. Despite all that attention to detail (it is very soothing to the soul to relax with a glass of wine and watch people work so hard) they are friendly, cheery and fun, love a joke (they even laugh at some of mine) and will look after you way better than your own family ever would. Their website says they “love what they do” and it shows. I also love what they do, and I really love they way they do it.